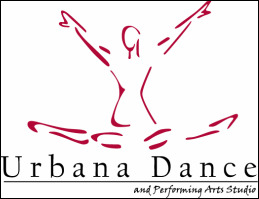 The dance year consists of the Fall/Spring Season and runs from August through June for a total of 37 weeks. Classes convene once or twice a week for 30, 45, 60, 75, or 90 minutes UDS does NOT follow FCPS, MCPS, or any state public or private school closings. Please refer to the studio calendar for scheduled closings and special events. Classes offered during the Mini Sessisons include preschool classes such as Wiggles & Giggles, Intro to Dance, PreDance, Mini Hop, Poms. Classes may change from session to session depending upon demand. The Summer Season classes are offered for students to stay active, fresh and on top of their skills. It is also a great opportunity for students to try a different genre of dance or for beginners to just try out a class. During the summer season UDS offers evening classes, camps & intensives, and workshops for students in beginning through advanced levels. The summer schedule is available in March. PLEASE NOTE: All policies and procedures outlined in this booklet must be adhered to regardless of which season students are enrolled. Policies are subject to change. You will be notified by email should any class need to be cancelled due to under-enrollment. UDS reserves the right to cancel any under-enrolled class, session, camp, or workshop, and place students in a comparable level if available. If a comparable class cannot be offered a full credit will be given within 10 days of the cancellation. UDS does NOT follow FCPS, MCPS, or any state public or private school closings due to inclement weather. We will make a decision to close approximately 2 hours before the day’s classes begin. We will notify you should the Artistic Director decide make-up classes are necessary when the studio closes due to unforeseen and weather-related emergencies. UDS does not issue refunds due to cancellations caused by severe weather.